I have absolutely zero understanding of patent law, and have only just discovered that it's illegal for me to reproduce a game called "9 Square in the Air" for personal use due to two "ornamental design" patents they were able to secure, and because of their price purchasing is out of the question as a college student. It may sound ridiculous, since I'm well aware no one is going to "come after me" over something I build for my backyard, but I'd like to obey the law. My friend has argued that all I have to do is modify the design in some manner in order to achieve enough of a change for it to be legal. My question then stands, what is enough of a change for a patent to no longer apply? 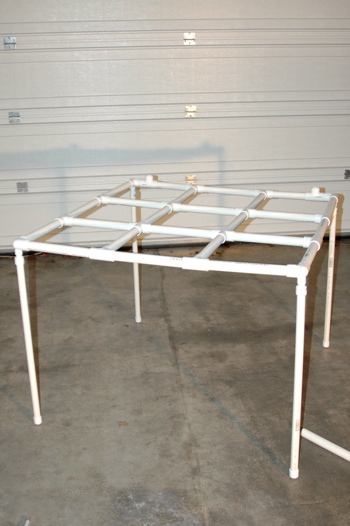 For example, if the result is still 9 squares in the air using PVC piping, does it really matter what else I change since it will perform the same function? The two design patents: US D650,445 and US D656,995. Also, US 7,608,000 is a patent created by some prior to them for the game idea itself (no idea how they got away with that). USD656995 is an "ornamental design" for a 9-square game that includes telescoping legs. The test of another design is that it won't be mistaken for the patented design. Nine circles or hexagons would clearly qualify. 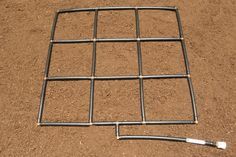 If squares are required, then have the legs mid-span instead of at the corners, or make them wider flat plates at the top instead of the same size as the legs, etc. Any improvement that you make to the product or item. Removal of the telescoping legs is enough to differentiate from the patented designs. Design Patents US D656,995 and US D650,445 should not have issued based on Prior Art, obviousness, and a lack of an "ornamental design". This 3x3 grid is purely utilitarian and lacks any ornamental features. These Design Patents both have Priority Dates of July 7, 2010. Where Have You Gone, Monkey Bars? 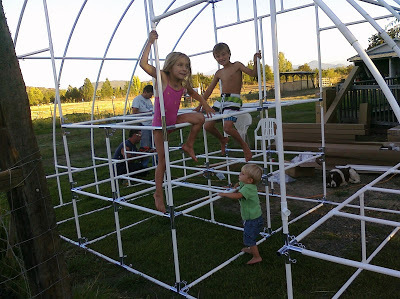 Obviousness: telescoping PVC can be found in many DIY projects. Not the answer you're looking for? Browse other questions tagged design-patent us7608000 usd650445 usd656995 fair-use or ask your own question.